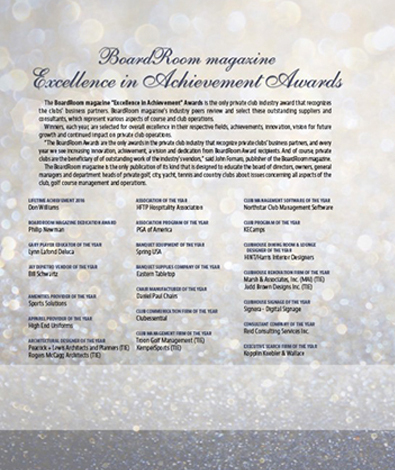 The BoardRoom magazine, the official publication for the Association of Private Club Directors (APCD) and the Distinguished Clubs, is proud to announce the winners of its 18th annual “Excellence in Achievement” awards. 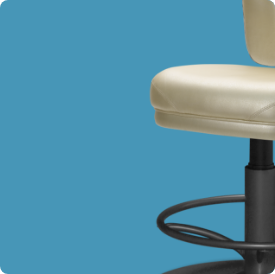 “The BoardRoom Awards are the only awards in the private club industry that recognize private clubs’ business partners, and every year we see increasing innovation, achievement, a vision and dedication from BoardRoom Award recipients. “And of course, private clubs are the beneficiary of outstanding work of the industry’s vendors. Clearly each and every one of them is the leader in their respective field and we’re absolutely delighted to recognize their contributions,” said John Fornaro, publisher of BoardRoom magazine. BoardRoom magazine’s industry peers review and select these outstanding suppliers and consultants, which represent various aspects of course and club operations. Winners, each year, are selected for overall excellence in their respective fields, achievements, innovation, vision for future growth and continued impact on private club operations. 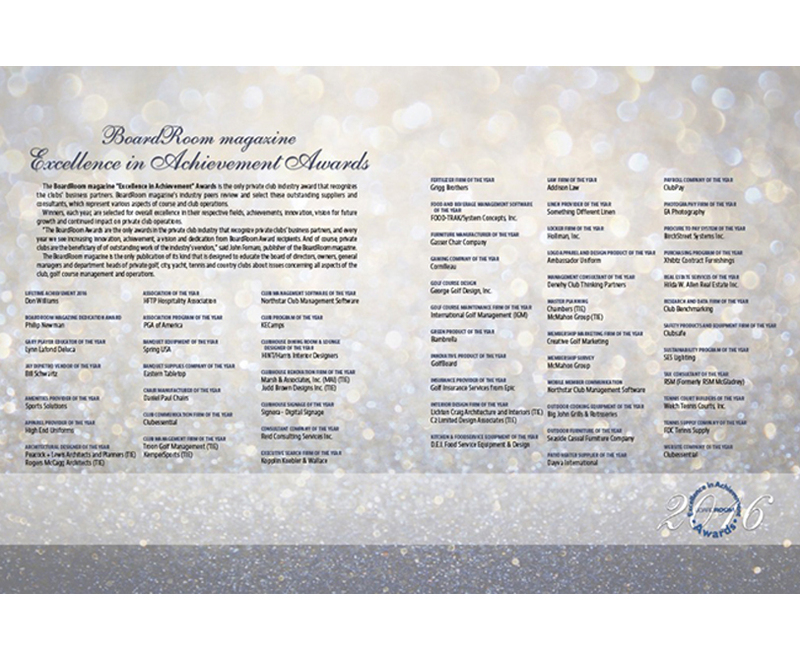 The BoardRoom magazine “Excellence in Achievement” awards are the private club industry’s only awards recognizing the clubs’ business partners. The BoardRoom magazine is the only publication of its kind that is designed to educate the board of directors, presidents, owners, general managers and department heads of private golf, city, yacht, tennis and country clubs about issues concerning all aspects of the club, golf course management and operations. The magazine is distributed through paid subscriptions to clubs, organizations and businesses throughout the United States, Canada, Europe, Australia and Asia.